Our Awesome Planet, together with The KTG (Kain Tulog Gang. Seriously, that’s what our group’s name is called) is once again getting your opinions on what are the best restaurants in the country. The Choice awards is heralded as the Golden Globe to Manila’s Best Kept Secrets’ Oscars. In here, we get the voice of the people and know which ones are the most loved restaurants of the Philippine’s food-going public. Just click the link and answer the survey. 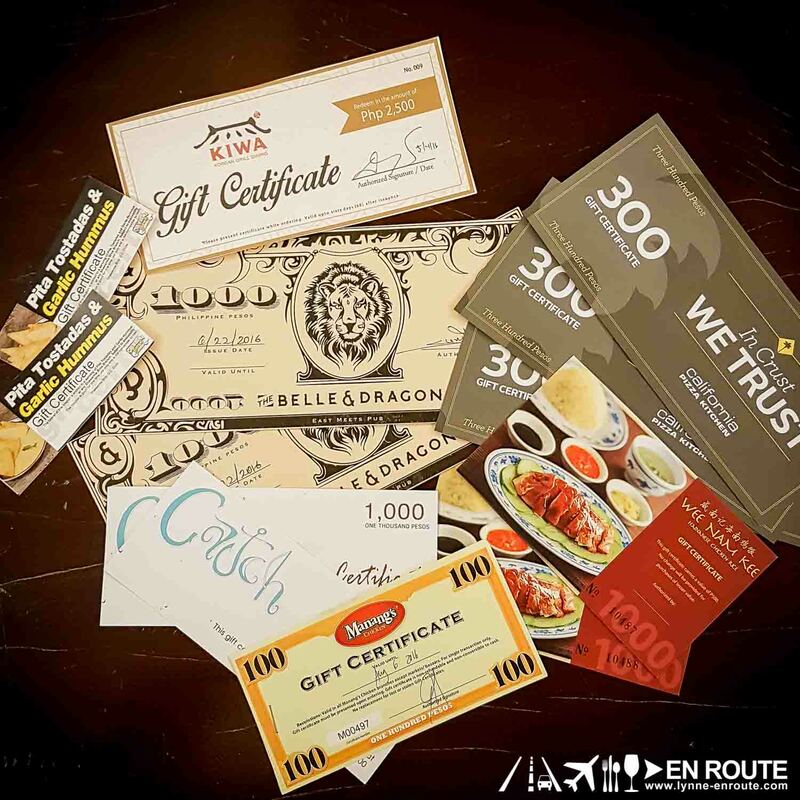 Exclusive to Lynne-EnRoute.com: GC giveaways to those who will answer the survey from our site 😀 ! Make sure you include your name, email address, and select www.lynne-enroute.com as the site that referred you to this when you answer the survey. Voting period is until August 31, 2016. Awards night will be happening at the Ultimate Taste Test in SMX Aura on September 17, 2016. Giveaway will be happening the week after September 17, 2016. The KTG are:The KTG is a group of friends who all just happen to be some of the top food and lifestyle bloggers in the Philippines; every one of their individual blogs ranks among the highest ranking and most influential online publications dedicated to food, entertainment, and travel. The Survey Parameters1. For the Favorite New Restaurant category, our coverage period includes restaurants that opened between June 1, 2015 to July 31, 2016.2. There are 50 questions in this survey and answering this survey should take around 5-10 minutes. It is best to give a definitive answer on each question and feel free to skip if you can’t decide.